UnderCover Politics: $15 an Hour? I'm a huge comic book fan so I go to down to my local Toys r Us store often to check out what they have in stock. Yesterday I found a really cool Supergirl TV series action figure. I used to be a huge fan of the TV show until it turned into a "social justice" agenda pushing infomercial during episode 3 of season 2. But regardless I'm still a fan of the genre and Melissa Benoist, whom as 2016 Presidential Candidate Jeb Bush said, "She's Pretty Hot." I grab it and notice there are 3 tags in the aisle stating 20% off on all DC action figures, but when I go check the prince on the scanner it reads $19.99, which is the regular price. I then proceed to wait in line to pay. When it's my turn one of the cashiers calls me. I walk up to her register. A polite woman in her 20's who seems like she's only 1/2 present in our realm of reality starts ringing me up. The figure rings up as $19.99, so I proceed to tell her, "It's marked 20%." She replies, "The register says $19.99." I say "Correct, but there are 3 tags in the aisle which clearly state all these action figures are 20%." She then proceeds to ask me if I can show her, which I gladly walked her to the aisle and did just that. 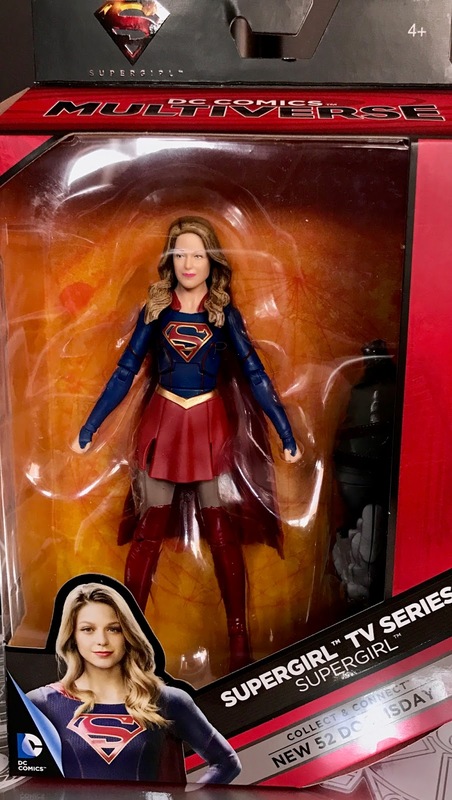 She took a while to see if it was indeed a DC brand action figure. She then proceeded to ask me what the date was, (my guess is this particular person probably thought we were currently sometime in 2007). After a couple minutes she removed all the tags saying 20% and we walked back to the register. Now it's time for me to pay, I had a $10 off coupon for buying something for $20 online at Toys r Us and then picking it up at the store which I could use anytime in the store or online. Lastly, after swiped my Toys r Us credit card and paid, she had to recheck the receipt to determine if the computer had actually given me the 20% off. My point to all this is these are the same people who want, protested for, and got $15 an hour here in California. $15 an hour but can't even figure out what 20% of $20 is? Maybe instead of whining they should consider bettering themselves? Like maybe graduating High School would be a start idea, or in this case, Grammar School and then better higher wages will follow on their own because you are worth more money? Not because a fascist statist California Goverment imposes this on businesses, many of whom, like my own small business, can't afford to pay it so we end up having to let people go. This might sound heartless but you're only worth what you're worth and it's not the job of goverment, nor business, to give people who aren't worth more than $5 an hour more just because the cost of living is high. Raising the minimum wage, which was never meant to be a "living wage," only breeds mediocrity and conformity.